It’s important to maintain a clean and sanitized environment at your place of business. After all, you don’t want to leave a bad first impression on your potential customers. One of the best ways to do this is to hire a commercial cleaning service in New Jersey to properly maintain your property and keep it clean at all times. 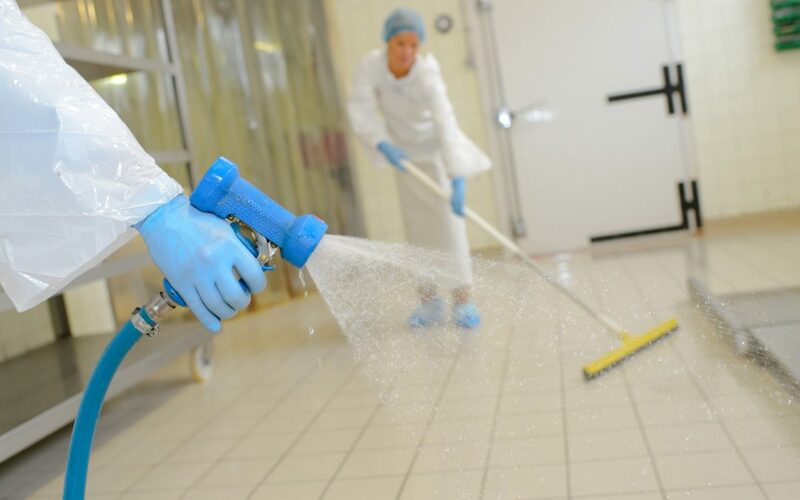 Here are some reasons why commercial cleaning and sanitization are so important. What Are Cleaning and Sanitization? Generally speaking, cleaning comes before sanitization and is the thorough process of removing organic matter and other debris, such as protein, oils, and grease. These sorts of matter can cause an increase of bacteria and prevent sanitizers from doing their job. However, it’s crucial that you use the correct cleaning solutions to make your sanitization process as effective as possible. Next up is sanitization, which should always follow your cleaning process. Sanitization as a whole is the process of using chemical or heat to clean food-contact surfaces. It’s best to hire professional commercial cleaning services in New Jersey to ensure that this job is completed correctly. Employees will feel more productive at work when you make their workplace cleaner and less cluttered. In fact, daily cleanings after work shifts can help to eliminate germs and bacteria before they spread amongst the office and are transformed into viral illnesses that are spread throughout the company. Also, keep in mind that bacteria can increase by 31 percent every day on surfaces that aren’t routinely sanitized, which makes it unhealthy for everyone who comes it in contact with it. It’s important to remove as many allergens as you can from your business to prevent customers and employees from getting into contact with respiratory hazards. The more you let dust buildup, the more costly and labor you will have to put into your cleaning efforts and sanitizing efforts. There’s no doubt that an office bathroom is commonly used throughout the day, but it can also be a petri dish full of bacteria and germs that employees can spread without even knowing it. In fact, nearly 75 percent of bathroom sink handles containing illnesses that be easily spread within seconds of contact with another person. This is why it’s so important to hire a commercial cleaning service to regularly clean and sanitize your business’s bathroom on a daily basis.